It has been an interesting week of fishing with a number of good reports. 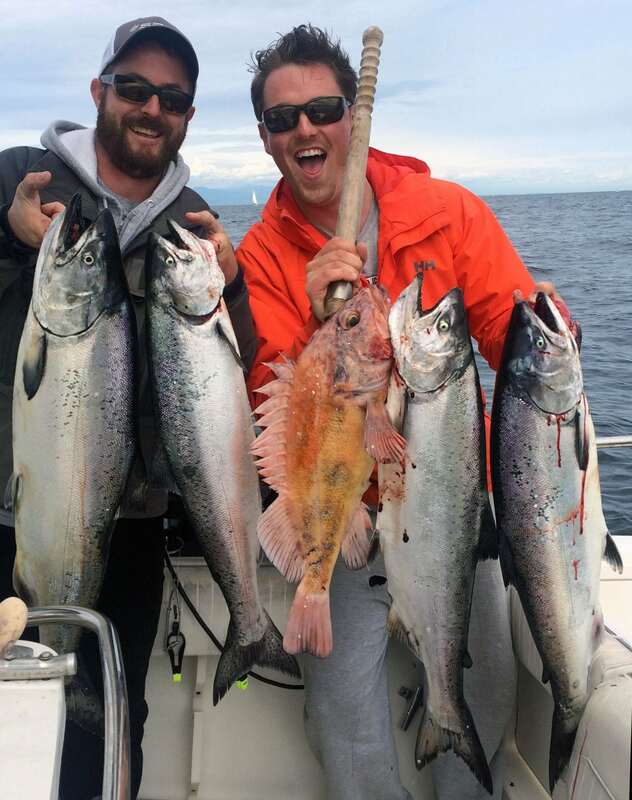 We heard of a couple really big fish, great number days, and a few tough reports mixed in. We would like to see more big number days but we have been seeing lots of bait everywhere and the general consensus is that it is spreading the fish out. Good levels of bait should be a good thing for the future of the fishery but it might make dialing in the spots a little more challenging. Anglers have been finding decent numbers of fish at Thrasher but with weather concerns yesterday, all our boats headed up Howe Sound. We had very solid fishing and also heard a numbers of reports just south of Bowen Island. The hump has been a let down this season. We took a look back at records and historically there is usually one more good flurry of action at some point within 15 days after the full moon. Full moon tides are hard to fish but once they calm down fishing is usually very good. If you are out this weekend take a pass or two and see what happens. Our guides will be keeping it on their radar for the next little bit. If something happens we will post it next week. 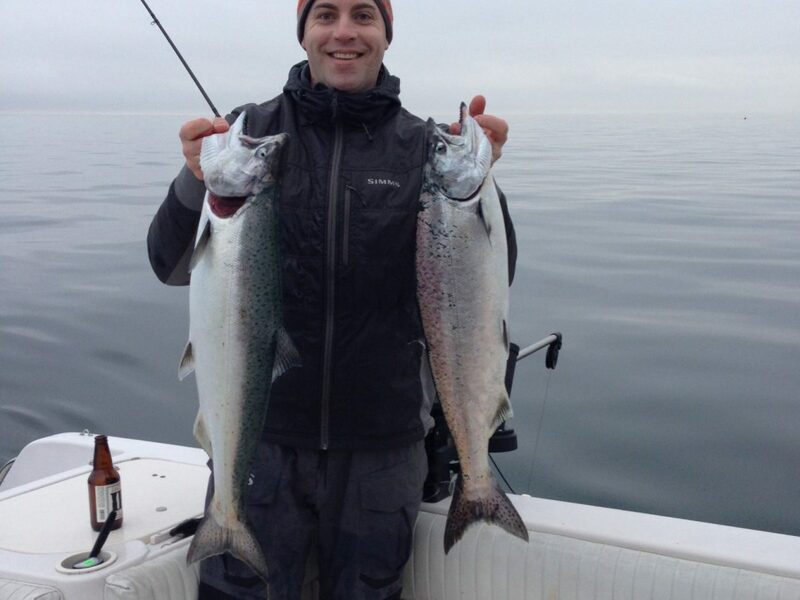 Up Howe Sound, we have been fishing a little shallower and still finding lots of fish. 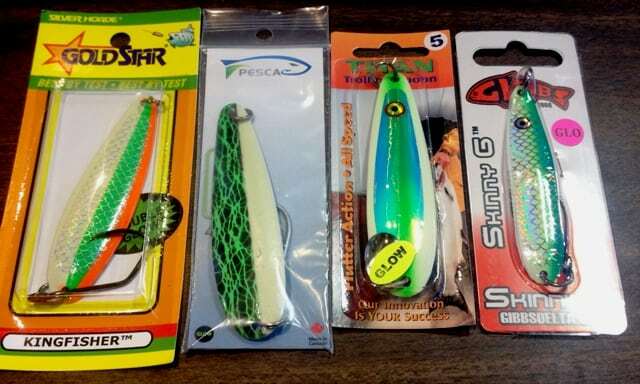 With darker overcast days we lean heavily on glow flashers and spoon in the shallower 60-110 range. When things go back to being sunny we will lean toward 90-120. At thrasher the water is clearer and though we still hedge our bets shallow on overcast days 120-200 are common depths to search. On a sunny day 240 is not out of the question. We have boats out all weekend and we should have more info early next week so as always don’t hesitate to call in and ask for and update or even better call in your report if something interesting happens out there. 604-872-2204. If you want to book a trip call NOW to get a spot! 778- 788-8582.